- knowing what degree of violent response is appropriate in certain situations. Also because hidden in plain sight on the walls of Port-au-Prince are those little gems that inspire me. 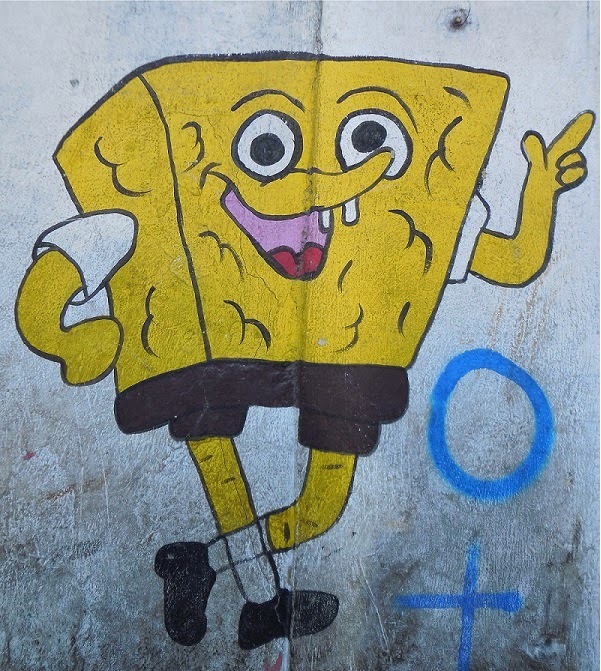 I have always been attracted to the bright cartoons painted on school walls in Port-au-Prince. The less they look like the originals the better they are, because I feel the weird ones are truest to our everyday lives. As they are most often found on kindergarten and primary school walls, these paintings are primarily addressed to little kids and their parents. A sign of the fun to be had inside those walls; of the schools openness and connectedness to the world. But to me, those imperfect renditions of Micky Mouse, Daffy duck and Dora can be uncomfortable to look at, even scary at times. They feel like a warning that things are not as they should be, a message of wrongness, in that street or maybe in that school, certainly in this country. I view them as a metaphor of how things are never as they seem, of how innocent objects can hide terrible ideas. And also of how people with different levels of education can see the world differently. In this series I have started, I wanted to show how violence is integrated in our lives, how we are exposed to it and it becomes part of a learning process. Like a kid learning how to differentiate fireworks from gun shots. Who better than those weird cartoons to help me! This series is still in its infancy and curiously, it takes real effort to really twist the “natural” order of things. 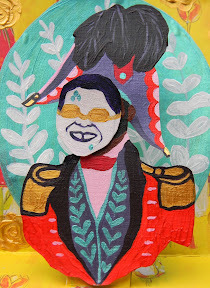 -" Big bird a travelin' " 2014, 12 in x 12 in. 1 of 12. Parce que se déplacer à Port-au-Prince demande de la clairvoyance, de la détermination un talent de contorsioniste et des armes de destructions massives. Parce qu'il y a de ces images uniques partout sur les murs de Port-au-Prince qui m'inspirent.
" 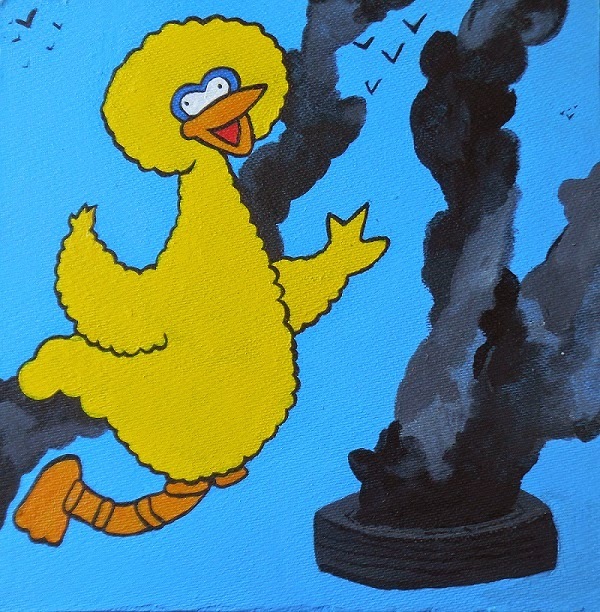 Big bird en ballade' " 2014, 12 ''x 12 ".